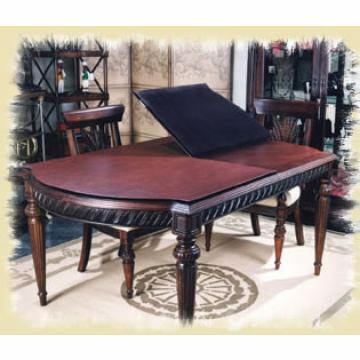 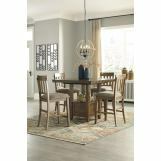 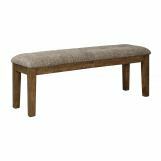 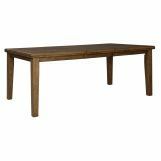 The Flaybern dining collection is made with Acacia veneers and select hardwood solids in casual light brown finish that highlights the natural grain character. 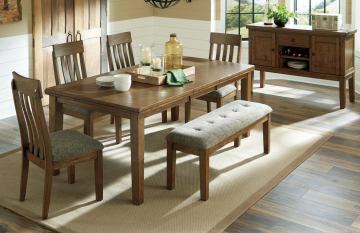 Table has a double stacked top and can extend to seat up to 8 people. 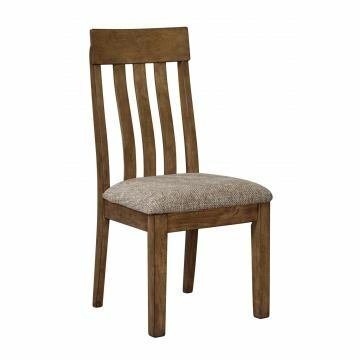 Chair has a open slat lumbar support back and a textural grayish brown cover. Bench can sit up to 3. 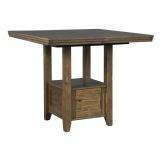 Counter table has a double stacked top with shelf built into the base and can extend to seat up to 6. 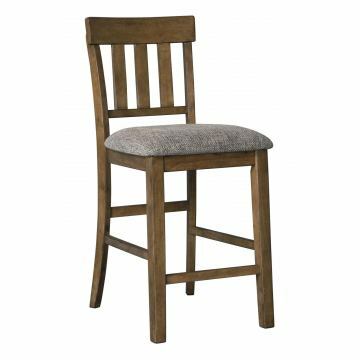 Barstool has an open slat lumbar support back and a textural gray colored cover. 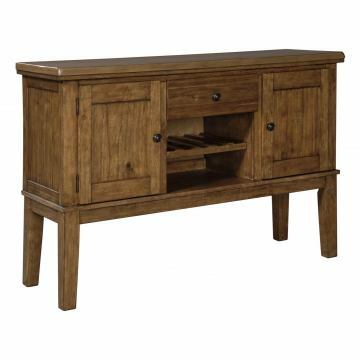 The Flaybern dining room server is up to the job and in a casual way. 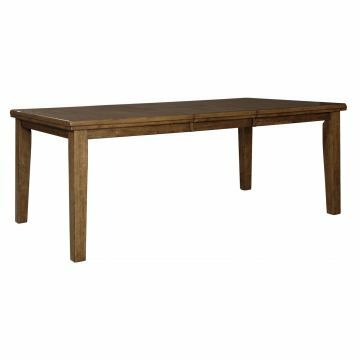 Its beautifully finished top offers a wide open space, perfect for setting up a buffet or displaying your favorite accents. You'll find its drawer, cabinets, wine rack and lower cubby handy for organizing dining essentials and keeping them within reach. 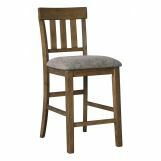 Simply quaint, its finish sports natural grain character that's highlighted by a warm brown finish. 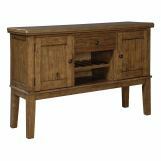 Thickly framed cabinet doors, high legs and subtle moulding give this piece heirloom quality—something that will be cherished in years to come.